Whether it’s print or digital, image quality has never been more important. The difference a high-resolution image with an interesting subject matter and good composition can make in comparison to a small, blurry photo is incredible. Take a look at the example below. The first image is blurry, dark and the composition has not been considered. Whereas the second image is clear, crisp and aesthetically pleasing. 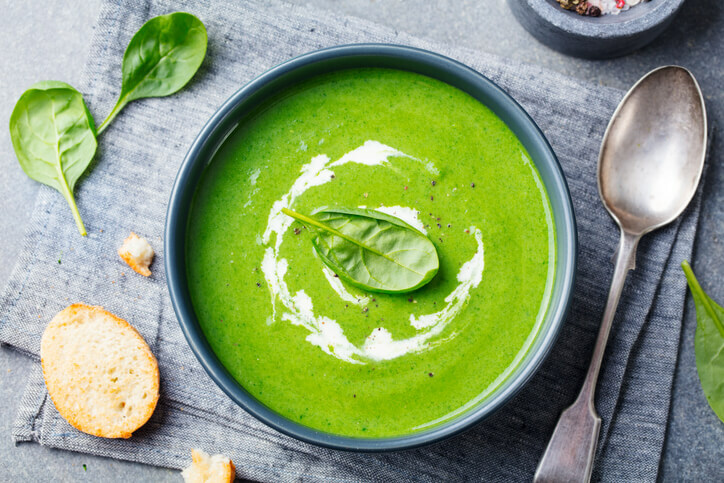 Even if you’re not a fan of spinach soup, it’s likely that you are more drawn to this photograph. Now, imagine you run a construction company or hair salon, the same principle applies to your industry specific imagery. If a picture is worth a thousand words, what are you telling your customers/clients with outdated, low-resolution imagery? This may give the perception that your company is behind the times and lacks professionalism. But there’s no need to worry! This can be a simple fix which can make the world of difference. With a huge range of stock image sites, (iStock, Shutterstock and Unsplash to name a few) with different plans to suit any budget, there is an extensive image library at your fingertips. 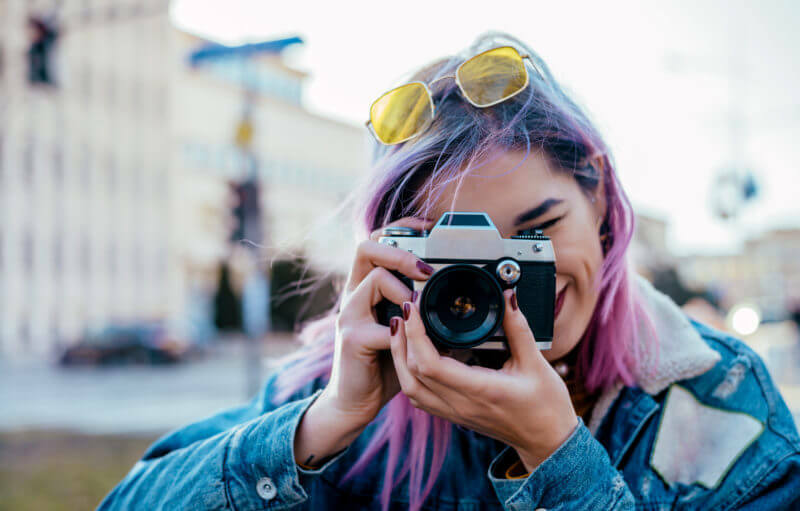 If you require more personal visuals to provide an authentic brand image, a professional photographer is more likely suited to fulfil these requirements. Or, alternatively a Graphic Designer can usually assist in personalising an image, for instance using Photoshop to superimpose a logo onto an object or item of clothing. When supplying images for print or digital, you are likely to come across the terminology ‘resolution’, ‘dpi’ and ‘ppi’, but what do these words actually mean? If you’re not in the industry, it can be a bit of a minefield, so we’ve decided to break it down to the very basics. This refers to the number of pixels in an image. 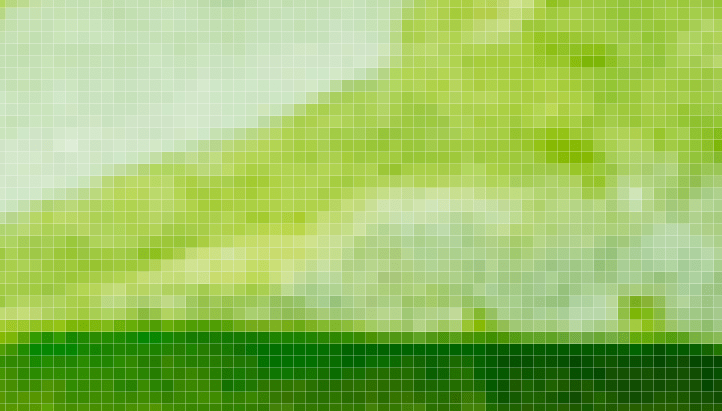 A pixel is equivalent to one unit of the whole image. If there are two versions of an image, the image with more pixels will generally be of a higher resolution. 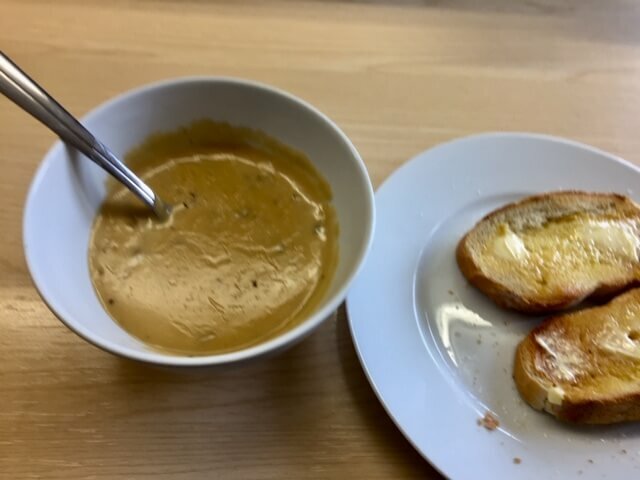 The example below shows a zoomed in area of the spinach soup photograph. It shows how the image is made up of thousands of tiny pixels, each a single block colour. This refers to dots per inch and pixels per inch. High-resolution is generally classed as 300 dpi, this is the standard requirement for print. Low-resolution images, which are used for web should be provided at 72dpi. This is the resolution of the image at 100% of its original size. This is the resolution of the image at the size it has been scaled to e.g. if it is reduced to 50% of the original size, it will have a ppi/dpi of 600. This is important to take into account if the image needs to be enlarged, as the ppi/dpi may then become too small to use for print. In order to maintain an adequate resolution for print, Graphic Designers will generally not take an image larger than 120% (but sometimes this can be pushed depending on the quality of the image). When you are asked for a high resolution, 300 dpi image for print, it is best to supply the largest size (in height and width) available. This will make it a lot easier to resize without effecting the overall resolution and quality of the printed image. To find out more about resolution and DPI/PPI, check out this great article, which explains the terms and the importance of image quality in more detail.